In #MittenTrip, Culture, West Michigan. Most people don’t want to go to a museum of any sort on a sunny day. However, that’s exactly what we opted to do on our Grand Rapids #MittenTrip. 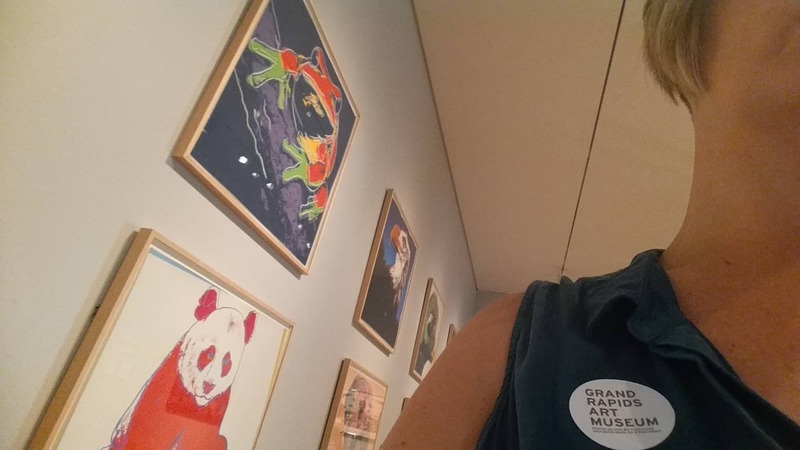 Despite having visited the city many times, I’d never had the chance to visit the Grand Rapids Art Museum (GRAM). I had no intention of leaving without touring the exhibits. Once we were inside, it became clear that the GRAM, with its massive windows and open halls, is a perfect place to visit on a sunny (or not-sunny) day. The GRAM. Photo courtesy of artmuseumgr.org. As is the case with most art museums, the building itself is a work of art. 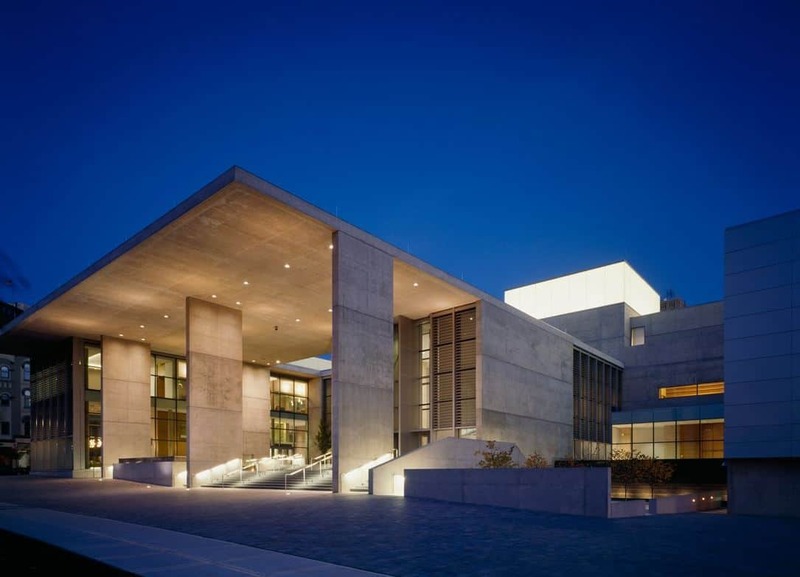 Built in 2002, it is the first art museum to receive the LEED Gold certification. In the words of the US Green Building Council, “LEED certified buildings save money and resources and have a positive impact on the health of occupants, while promoting renewable, clean energy.” All 20,000 square feet of the space is stunning from both the inside and outside. Natural light floods much of the space, and soaring ceilings invite guests up to explore all three of the museum’s levels. Grand Rapids Art Museum. Photo by Shannon Saksewski. Though the GRAM’s holdings may be smaller compared to some other art museums in Michigan, they are important and representative of art through the ages. The collection features 19th and 20th century pieces from both the US and Europe, rotating exhibits, as well as the works of Michigan-based artists. I’m particularly interested in, and heartened by, the purposeful inclusion of Michigan artists at the GRAM. Artists and designers interested in submitting their work for inclusion in the Michigan Artist Series can submit proposals. Selected works are placed throughout the museum’s exhibit spaces, alongside art from throughout the world and throughout art history. I enjoyed my time at the GRAM for many reasons, including those which weren’t entirely visible during our visit. By that, I mean that the museum’s dedication to education and accessibility—which might not be obvious on a first visit without a little research— is appealing to me. Their education department offers opportunities for everyone, from infants to adults. Purposeful Play + Artful Learning lesson plans and kits are available for parents and educators who wish to engage the very young learners with whom they visit the museum. 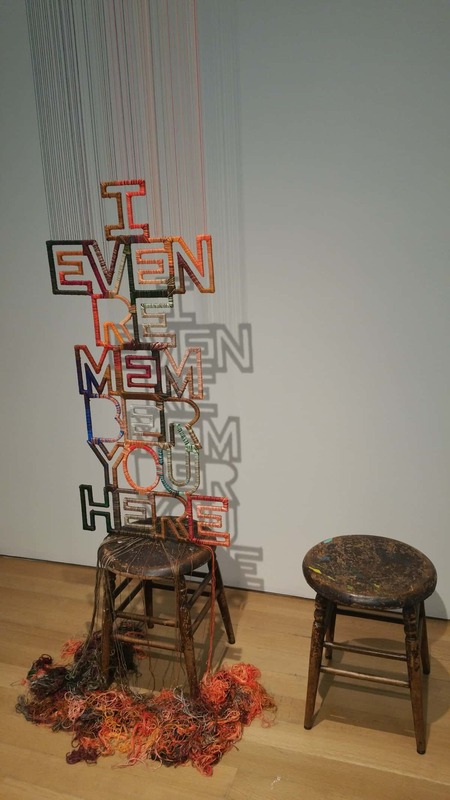 For those living with Alzheimer’s, dementia, or traumatic brain injury, the museum has created a docent-led, small-group art visitation and discussion opportunity called Gazing at GRAM. These are just a couple of the innovative, community-focused programming options at GRAM. Exploring the Grand Rapids Art Museum. Photo by Shannon Saksewski. If you find yourself in Grand Rapids (and I hope you do), consider stopping by the GRAM for a couple of hours. You’ll discover new art, enjoy a beautiful space, and find yourself energized for whatever excitement the afternoon and evening have in store. Have you visited the GRAM? What do you enjoy the most about the museum? Any favorite pieces of art? Tagged art, Education, Grand Rapids, grand rapids art museum, michigan artists, museum. Hi, I'm Shannon and I'm proud to be from Michigan. Some things I enjoy: Cooking, craft beer, most kinds of music, travel, learning things, tattoos, driving, being on boats, water in general, being out of my comfort zone, history not printed in books (the real stories...), cats and dogs, imperfection, girls and boys, live (loud) rock 'n' roll shows, deep voices, smart people, sarcasm, dry wit, consideration, thunder, nerdiness, trying to explain complicated concepts in digestible ways, bourbon, stream-of-consciousness writing, Ford trucks from the 80s, people with useful skills, the color blue.